1.1 How to check EDV result from dvlottery.state.gov? EDV result 2020 is ready with the name list of all EDV winners. 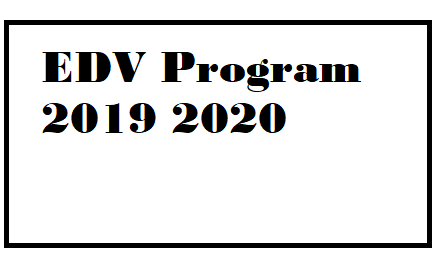 EDV result 2020 publishes in May 2019. 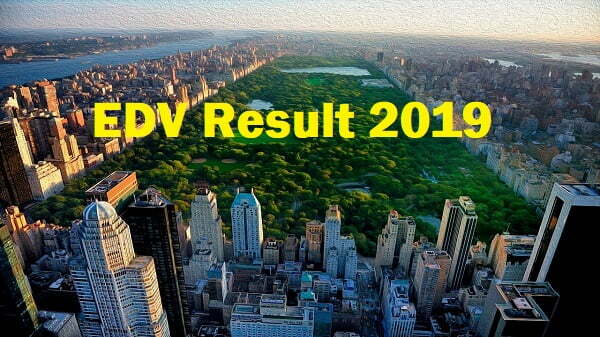 EDV result 2019 result has already been published. Apropos of the Immigration Act 1990, in the United States of America, there was the establishment of a Diversity Visa (DV) program. The Diversity Immigrant Visa program is the Green Card Lottery Program to receive a US Permanent Resident card. Under edv program, 50,000 permanent resident visas are made available every year. Applicants are selected from the countries with a low rate of immigration in the previous five years. This program has been conducted to diversify the immigrant population in the US. After the name of its sponsor, this program is also known as Schumer program. EDV result was completely based on random selection of candidates who filled edv form. The eligibility for this DV program in the USA is determined by the candidates’ country of birth. Nepal is one of the eligible countries for the American DV Program. 50,000 Diversity Visas are available each year. However, no countries can receive more than 7% of total DVs that is 3500 per year. 100,000 applicants are selected at first for the DV program. It is because, after the selection, the applicants need to be qualified for the visa which includes background and security check. Also, some may choose not to go further with the proceedings. Thus, even though you are selected, you might not be granted the DV sometimes. This US DV program has been administered exclusively online since 2012 AD. The applicants can verify online whether they are selected or not and winners are also notified online. So, let’s talk about the ways to check EDV result 2020. The American EDV (Electronic Diversity Visa) has been around for a while now, and people who are cognizant are applying for it. www.dvlottery.state.gov is the authorised website for EDV lottery result. Here, you can apply for DV and also check for your selection and the final edv result. This website is managed by The Bureau of Consular Affairs, US Department of State. How to check EDV result from dvlottery.state.gov? Go to your browser and open the official website for EDV i.e. dvlottery.state.gov. The page opens with information about the registration period at the top. Just below it, you can see DV Entrant Status Check. You have to click on check status. The link is just below the instruction which tells you to Click the link below to check the DV entrant status. Click on the link, and a page opens in which entrant status check instructions are provided. It tells you to be sure to have the Entrant’s Confirmation Number, Last/Family Name, and Year of Birth to check the entrant status online. Then, Click on continue. Then, a page opens where you have to enter the entrant information. You will have to enter the confirmation number provided to you while applying for the DV, your last/family name and year of birth. Then you have to type the characters shown for the authentication. Be sure to enter all the information correctly. Then click on submit. You will get your EDV result then. EDV 2020 result is on May 1st 2019. You can get every detail about EDV 2020, EDV 2020 result date and all about EDV 2020 Electronic Diversity Visa 2020. EDV result 2020 is on a way. Applicants can get their EDV result of 2020 by the first week of May 2019. So, stay finger crossed wishing for the best. Wap Nepal will update EDV result 2020 and list of all EDV result 2020 winners on this page. Finally, EDV result 2020 is published on May 1st 2019. We will update the list of all EDV 2020 winners with name and address. We would like to congratulate all EDV 2019 winners for being selected. In the days to come, we would be providing you more information about EDV 2020 application and its procedures to apply. You can get complete EDV 2020 application tutorial in our another post. We are getting the list of EDV 2019 winners. We will be updating this page with EDV winners namelist by today evening. If you are EDV winner 2019, please use comment section to provide your information. We would love to include your name on the EDV result winner list 2019. EDV Result for 2019 is scheduled on May 15th 2018. Thank you! Hi Tara, we have provided enough resources on how to check Edv result. Please go through our article on detail. If you have any confusion, let us know again. Check your edv result, if you are winner you will have it. Cheers! It is ready. Please check through the official website mentioned above. How we can find name list?? I have lost my Confirmation Number. How can I see my result? could you please help me. If you have lost your confirmation number, you can check your result. You can use forgot confirmation number section to recover it. You need to have your email address with you. I havent taken confirmation number from where i have applied for edv . 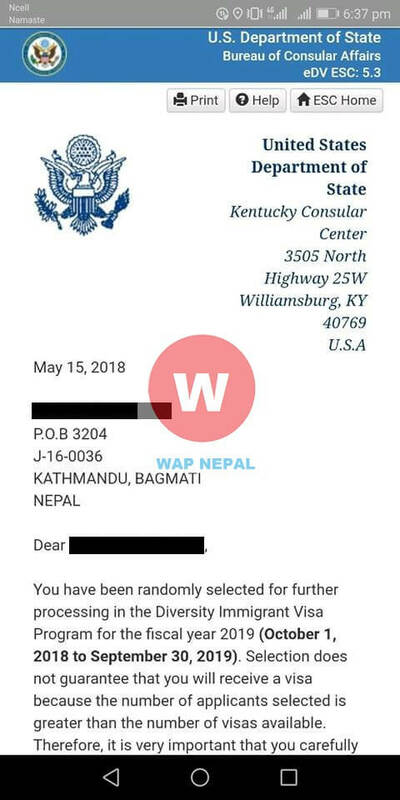 Is it possible to know whether i have been selected or not without confirmation number . I lost my con. no. and also i haven’t put there any email id how can I check? Thank you for a great information. I am waiting for Edv 2020 result. I hope that I will be selected in this round. Please everyone wish for my good luck. Thank you. Good luck with the result.